If you follow me on Twitter, you'll know that I've been in the process of changing my name for the last few weeks. It's not something I've just randomly decided to do, it's been on the cards for a while and I'm going to tell you exactly how and why I did it. I did a lot of research online, and found out that changing your name is pretty simple. You can write on a piece of paper that you're assuming a new name if you were that way inclined, but a lot of companies won't accept just that - they want a Deed Poll. I rang around various places I have accounts with and the majority wanted a 'legal copy.' That's when I went to my babe, Olivia, from Dungarees and Donuts, for advice as I knew she changed her name last year. Liv pointed me in the direction of UK Deed Poll Service and I'd actually already been looking at their website. It was really easy and all questions are answered on their site, not only that but I called them and they were so helpful and friendly. You basically fill out all your information, with your old name and new name, decide whether you want the archive service and any legal copies. The archive service means that UK Deed Poll Service keeps a digital copy of your original Deed Poll, so if you lose your original copy or need more copies to send to various companies to notify your name change, they can send it out to you for a fee. I ordered ten legal copies of my Deed Poll as the DVLA, bank, Passport Office etc. 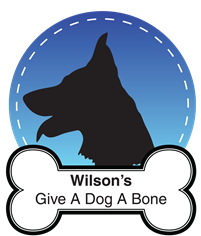 require an original Deed Poll before they will update your name, they won't take a photocopy. I got my Deed Poll, archive service and legal copies for £33 but it should have been £56. I ordered my Deed Poll online and unfortunately (not for me as I got £23 knocked off) the websites servers were down. I received a confirmation email with all my details and but didn't hear a thing for over a week about my name change. I contacted the service and they had no record of my registration. I forwarded them my confirmation email and they sorted it right away, and I got the legal copies and archiving for free. Due to wanting legal copies and the archive service, I had to get my Deed Poll signed by an independent witness and return it (you have to get it signed by a witness either way). My Deed Poll couldn't be signed by my boyfriend as he lives at the same address, so my nail tech signed it for me. Once it was signed, I posted it back and two days later my Deed Poll and ten copies landed on my doorstep. 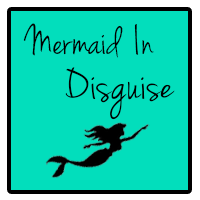 So, why did I change my surname after almost 30 years? Short answer: My old surname belongs to people that I don't want to be associated with. Since I was thirteen years old I've told my friends that I have 'no last name,' because I didn't want to use it, I didn't want to be associated with them. At eighteen, when I was old enough to change my name, I didn't, I'm not really sure why, it became a background concern, I didn't think about the 'family' that abandoned my brother and I, they meant nothing and I thought of it as 'just a name.' In a way I'm glad I didn't change it back then, I know for a fact, I'd be Sarah Timberlake or something equally ridiculous. As I went through my twenties, I didn't see a point in changing my name, I thought I'd get married and take on my husbands surname. Alas, no ring on my finger, and stuck with a name that I despise. A few years ago, I stupidly went along with my brother and made contact with those with that last name. The grandparents we'd lived with our whole lives died within six months of each other, and we were (still are) heartbroken; according to my brother we had a whole 'family' we were missing out on. Albeit after a few occasional meetings over a few years, the relationship broke down; my brother and I wanted something more substantial with our biological father, not an hour after work or a phone call every few weeks. But he didn't know us and the effort wasn't put in. I wrote a letter to our sperm donor back in February, and once that was published his step-daughter jumped all over me online. Classy, and nothing to do with her. Nevertheless, my brother and I were deleted from their lives as quickly and easily as they removed us from Facebook. We've not heard a thing since, and my surname was the only thing tying me to them. But it's not any more. I'm not planning on getting married any time soon, or at all, so I don't want to be stuck with a name I hate for the rest of my life, connected to people that don't mean a thing to me or care about my existence. I want to love my name and be proud to say it. I can't even begin to express how happy I am that I've changed my name. I was so excited when my Deed Poll arrived this morning, I felt like crying. There's no reason behind Alexander, I was looking at names and it jumped out at me, so I claimed it as my own. 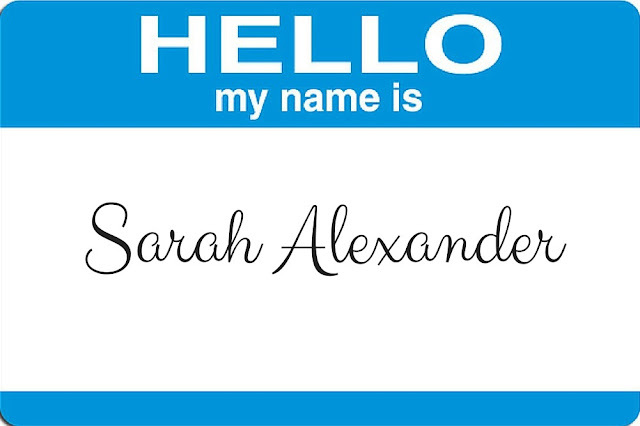 Sarah Alexander has a nice ring to it, don't you think? Good for you! 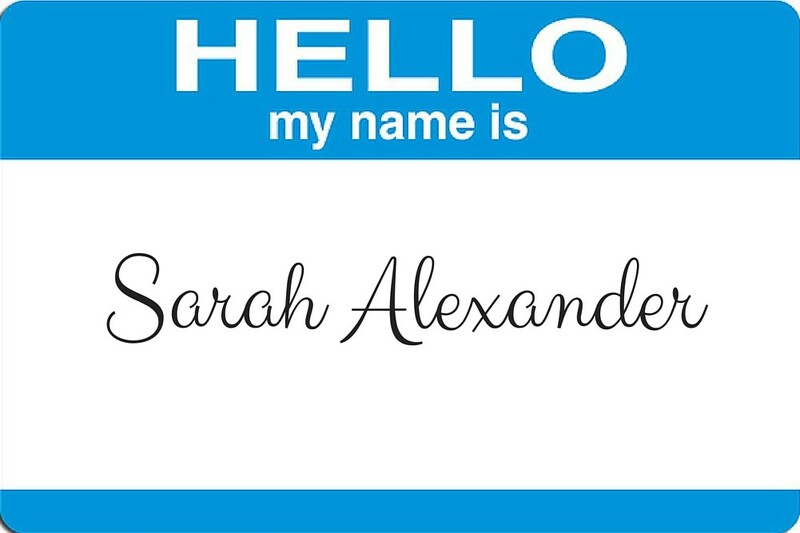 And Sarah Alexander is an awesome name, congratulations! I loveeee the new name! Though I think Sarah Timberlake has a great ring to it, personally hahaha. I think you have perfect reason for your name change and I think it's great. Good for you! My father died when I was 7 and did nothing wrong to me. My mother on the other hand did. If I had her last name I would have done the same thing. It took me until last year to cut her out of my life. She was toxic to me from my childhood. So yeah I totally get why you changed your name. And yes, Sarah Alexander has a nice ring to it. Once again good for you for standing up.